Product #22038 | SKU NE8MC | 0.0 (no ratings yet) Thanks for your rating! 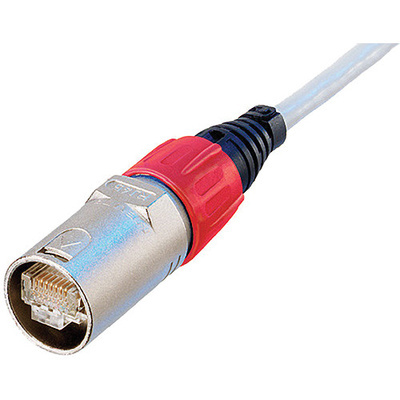 The Neutrik NE8MC RJ45 Cable Connector Carrier is designed for preassembled RJ45 plugs that consist of shell, fixing disk, chuck, bushing, and boot. It is packed with 2 cable protection elements for a cable diameter either up to 0.19” (5mm) or 0.31” (8mm). The etherCON cable connector carrier upgrades a conventional RJ45 connector to an extremely robust lockable solution. Note: Cable connector carrier does not include an RJ45 plug.